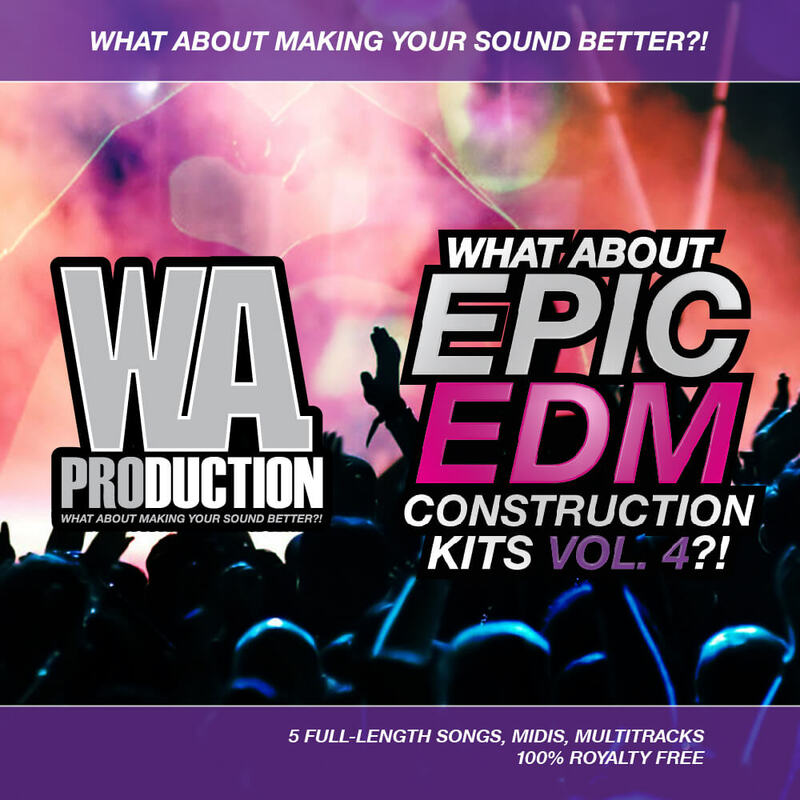 ‘What About: Epic EDM Construction Kits Vol 4’ is the latest and biggest part of W. A. Production’s well known series of EDM Kits. In this pack you will find five full-length EDM bangers featuring massive drops melodic verses, plenty of drums, FX, synth and vocal samples. Songs are at tempos 128 and 130 BPM. This product contains five full-length tracks including two huge drops, bridges, melody variations and a lot of exclusive samples. All designed to give more freedom when re-arranging and re-mixing to all EDM, Progressive, House, Dance and Trance producers. What about making your sound epic with this outstanding pack? The vocals in the demo are for demo purposes only and not included in the pack.